Can I Build A Mikvah in a Day? At any rate, since that article Gideon showed me a video of how Mikvah Malchut put together a mikvah in one day flat, 10 hours to be exact! 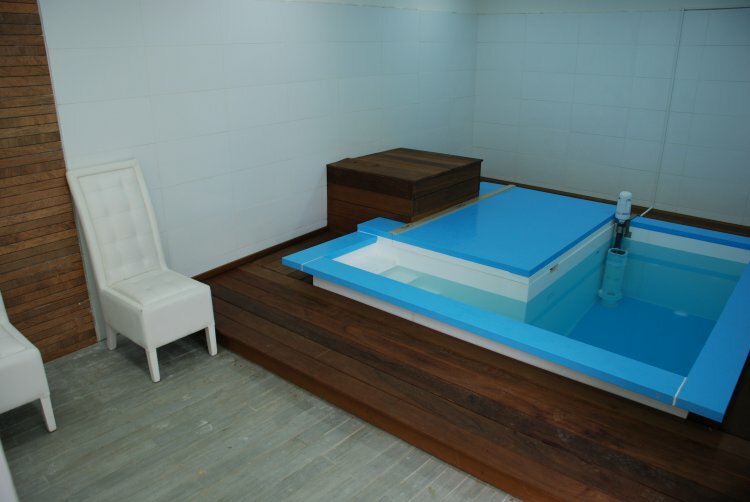 The Mikva is patented and is built with a rabbinical mikva expert from Maayan Hatohar, a rabbinical mikvah certification organization to make sure it is built to the strictest standards. This may be a world record for the fastest built kosher mikvah yet it's built to the strictest halachic standards. When the messiah comes a mikvah will not just be for family purity, it will be very much a part of our daily lives as we will start to take off tithes and 'Terumah and Challah which right now we don't use or give to the cohen because we are not ritually pure. But when the messiah comes we will go back to learning and implementing ritual purity in our daily lives. That means we will give Challah to the Cohen instead of burning it. We will also give him Terumah in purity. We will also need to immerse in a mikvah to visit the Holy Temple which we hope will speedily be rebuilt in our days. Meanwhile a mikvah in your own home can be amazing in a place that has no community mikvah or it can be that community mikvah built for up to 80-90% cheaper than a concrete mikvah. The icing on the cake is that after your infrastructure of a concrete base and water catching is completed, it takes only 5 days tops to complete the most complex mikvah!